Established in 1999, LINC is the only dedicated community organisation for lesbian and bisexual women in the Republic of Ireland. As similar spaces and organisations around Europe have disappeared LINC continues to thrive and expand. This is due in no small part to a long history of community activism in Cork providing a solid foundation for a community organisation to be built upon. Lesbian and bisexual women had been organising events, socialising, and providing support to each other in the city for decades. 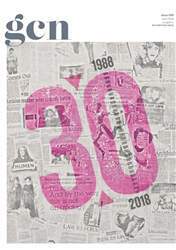 During that time Cork Women’s Fun Weekend was set up, an event still running over 30 years later, and Cork Lesbian Line, now part of LGBT Ireland, was founded.